The Significance of the Bayt Al-Hikma (House of Wisdom)in Early Abbasid Caliphate (132A.H-218A.H), Middle-East Journal of Scientific Research, ISSN: 1990-9233, Vol 11, No 9, 2012. pp.1272-1277. Nafiseh Salehi, et al. Iranian English Teachers’ Perception over Applying Different Feedbacks in Writing (in press). Theory and Practice in Language Studies, ISSN: 1799-2591 Nafiseh Salehi and Maryam Rafiei. Salehi, Nafiseh (2013). Error analysis of written English of university students in an ESP course. Paper presented at the National Conference in Teaching English, Literature and Translation (NCTLT), Shiraz, Iran. Salehi, Nafiseh and Sabooni, Maryam (2013). The impact of portfolio assessment on development of writing performance. Paper presented at the National Conference in Teaching English, Literature and Translation (NCTLT), Shiraz, Iran. Salehi, Nafiseh and Samuel, Moses (2011). Teacher learning in the EFL methods course: a case study of two EFL teachers. Paper presented at the International Conference on Globalizing Local Wisdom in Education, Universitas Sarjanawiyata, Tamansiswa, Jogjakarta, Indonesia. Salehi, Nafiseh and Samuel, Moses (2010). Integrating culture into EFL materials. Paper presented at the 20th UM-SYLFF Anniversary Seminar, University of Malaya, Malaysia. Salehi, Nafiseh and Kaviani, Rahim (2009). Incorporating culture into EFL Texts. Paper presented at the International Conference on English Language Teaching, University Putra Malaysia, Malaysia. Salehi, Nafiseh (2008). Islamic education: what is amiss? Paper presented at the International Conference on Research in Islamic Studies, Academy of Islamic Studies, University of Malaya, Malaysia. Salehi, Nafiseh and Kaviani, Rahim (2008). Teaching culture in foreign language classrooms. Paper presented at the International Conference on English Language Teaching Materials, University Technology Mara, Malaysia. Salehi, Nafiseh (2008). Investigating some of the influential theories of second language acquisition. Paper presented at the International Conference on Language and Linguistics, International Islamic University, Malaysia. Salehi, Nafiseh and Kaviani, Rahim (2008). Language learning strategies: Current issues. Paper presented at the International Conference on Language Learning, University Science Malaysia, Malaysia. 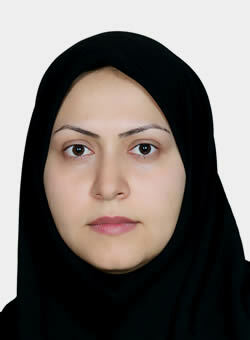 Salehi, Nafiseh (2008). Listening comprehension activities in EFL classes. Paper presented at the International Conference on Texturing ELT for New World Realities, University Technology Mara, Malaysia. Salehi, Nafiseh (2008). Techniques and procedures in using video in ESL classes. Paper presented at the International Conference on English Language Teaching (MICELT), Faculty of Educational Studies, University Putra, Malaysia.